Try Some Local Eats & Treats!!! Why spend all that money on gas to go to another town and eat, when we have so many great options here in Marysville? Come to the Taste of Marysville and you’ll see why you should be excited to support our local restaurants! Admission is FREE! Just pay for your tasting tickets: $10 for 8 tickets and choose which vendors you would like to taste from. 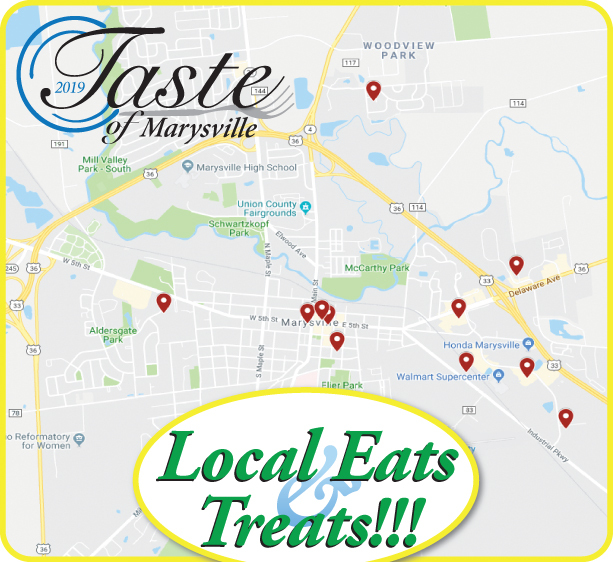 Vote for your favorite taste to win “The Best Taste of Marysville”!!! © 2019 Taste of Marysville.